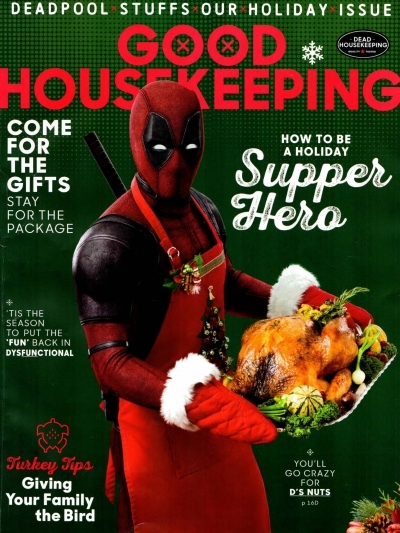 Good Housekeeping magazine has release a special Thanksgiving limited edition issue, promoting the upcoming superhero movie Deadpool 2. 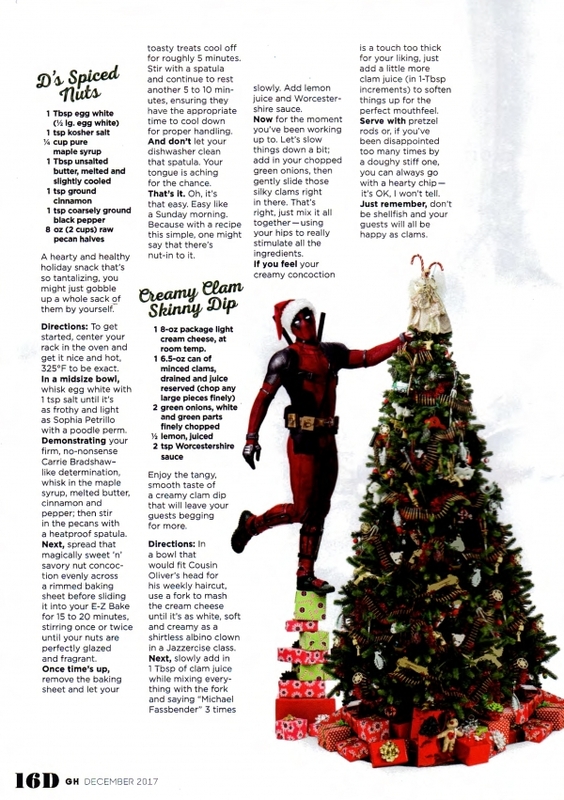 Deadpool's persistence to be in Good Housekeeping was impressive — initially we had no idea who he was, let alone that he was a fan of the magazine. But after repeated attempts to ignore his… passion… we came to a compromise. 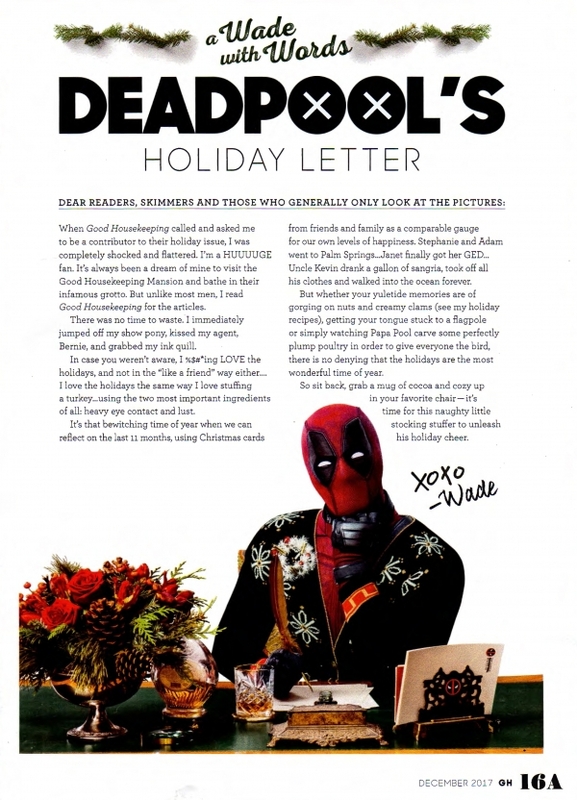 He could appear in one issue, if he promised to stop leaving care packages at our editors' homes and agreed to maintain a 50-foot distance from the Good Housekeeping offices and our staff.